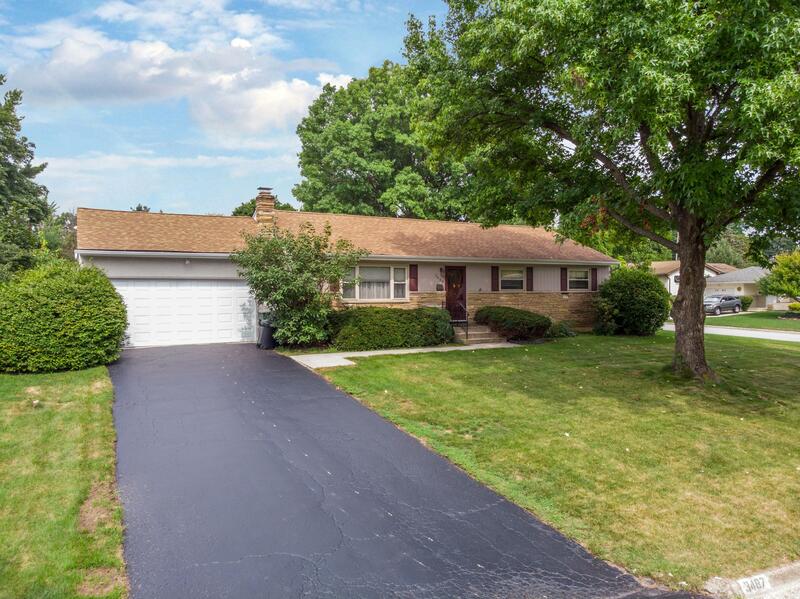 Well maintained ranch on beautiful cul-de-sac corner lot. Features hardwood floors under carpet,replacement vinyl windows, new furnace & A/C 2009, new roof 2003, new soffits & gutters 2014, new garage door 2018, new garage door opener 2016, additional insulation added throughout 2016. Also new wall oven 2015 and electric cooktop 2001. Also features a fenced side yard, an enclosed breezeway/patio between kitchen and garage,and a full basement great for finishing and storage. Clothes washer, dryer, and dehumidifier included! Minutes from OSU, Riverside Hospital, shopping, freeways & downtown. DON'T MISS THIS GEM!